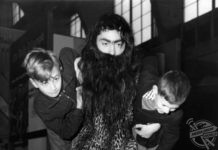 CHILLING rare archive images contrasting the inside of the Auschwitz-Birkenau concentration camp with today have been revealed in a new book. 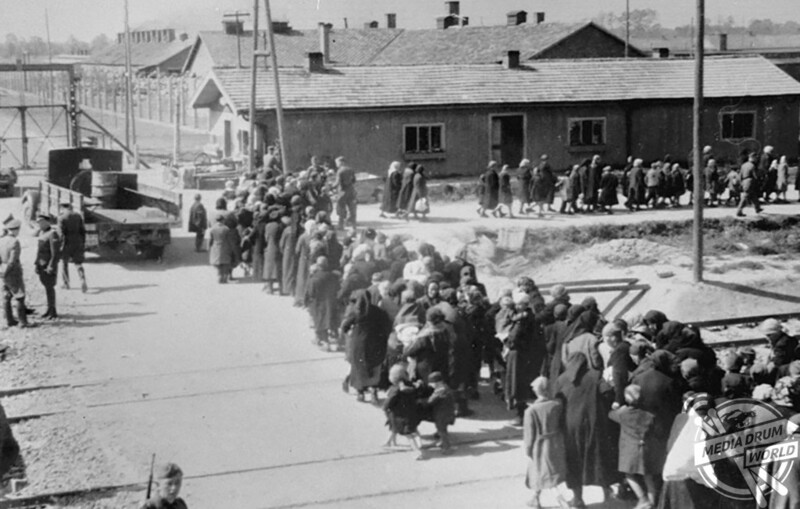 Hewish women and children, who have been selected for death, walk in a line towards the gas chambers. 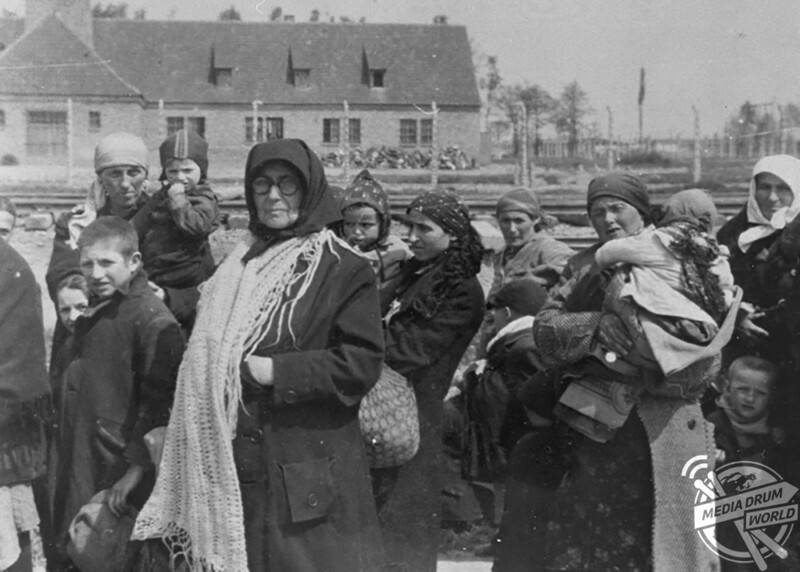 The series of black and white images show Jewish women and children walking towards gas chambers and their deaths, men selected to carry out forced labour at another area of the camp and men building Birkenau’s brick entrance. 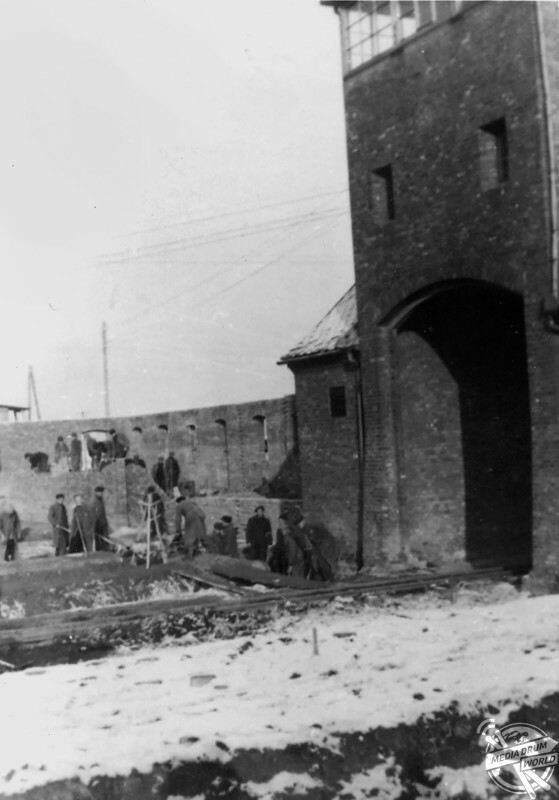 The construction of the main brick entrance of Birkenau. 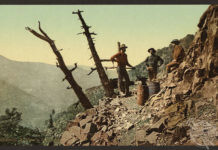 Prisoners have been set to work to assist in its rapid build. Other images show the house of lieutenant colonel Rudolph Hoss’ overlooking the SS sick bay with trees planted in front to hide the house from the rest of the camp. 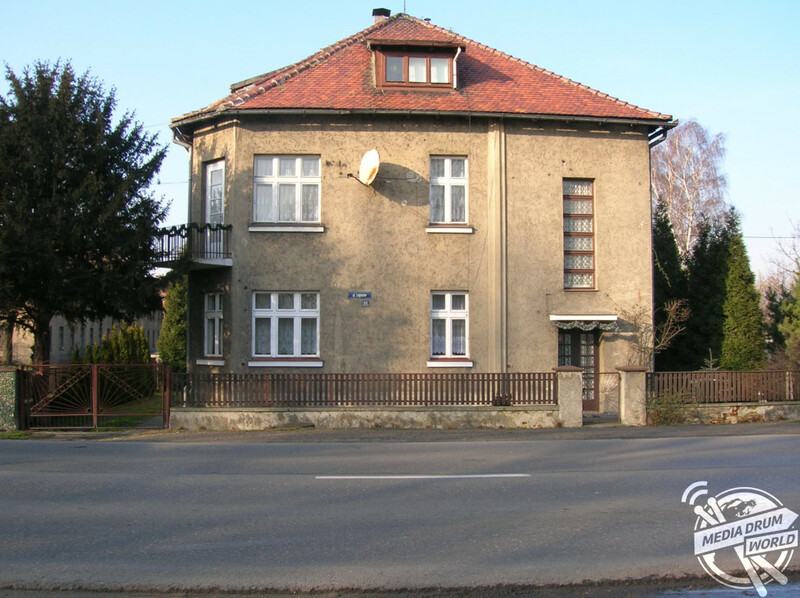 Commandant Rudolf Hoss’ former family residence as it stands today. 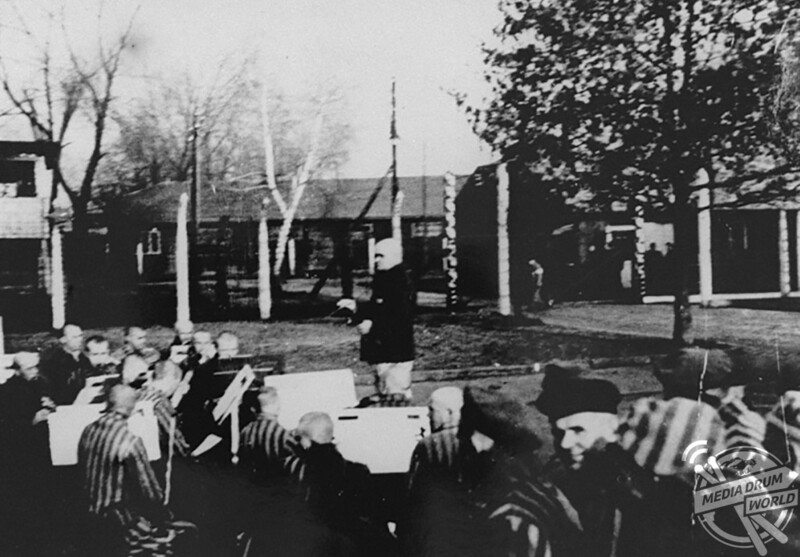 One photo even shows a Sunday concert conducted by Franciszek Nierychlo and attended by prisoners and SS men together. A Sunday concert in 1941 where SS men also attended with prisoners. 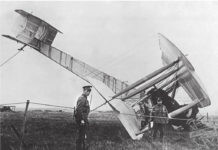 The orchestra was conducted by Franciszek Nierychlo. The pictures have been revealed in the book, Images of War: Auschwitz and Birkenau, Rare Photographs From Wartime Archives by military historian Ian Baxter and published by Pen & Sword. 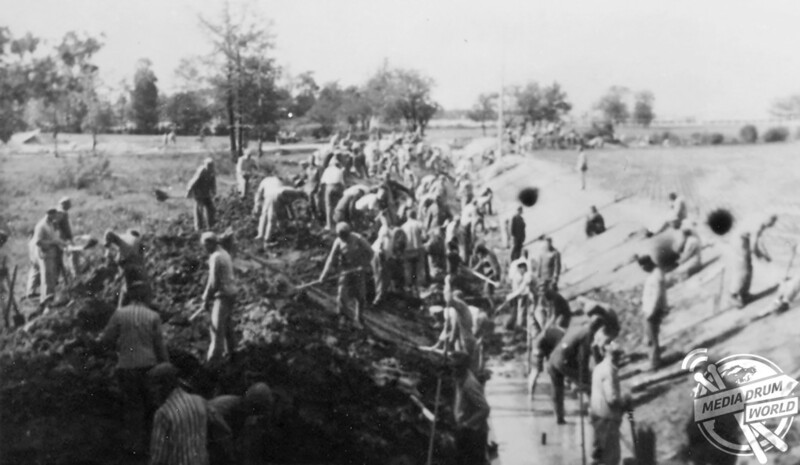 Drainage digging by prisoners during the operation of Birkenau. “The book shows in great detail the sheer size and scope of Auschwitz and the nearby Birkenau complex,” said Ian in the book’s introduction. “It reveals how the buildings were constructed and then tells of the private firms that were employed by the SS to build them. May 1944: Jews from Subcarpathian Rus wait in a clearing near a grove of birch trees before being led to the gas chambers. 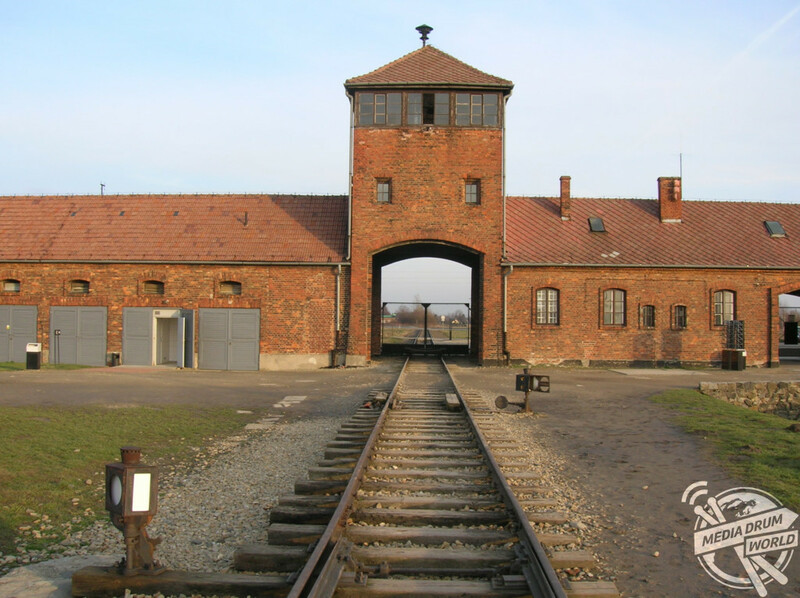 Auschwitz was the largest Nazi concentration camp and opened in 1940 as a detention centre for political prisoners and evolved into a death camp for Jewish people. 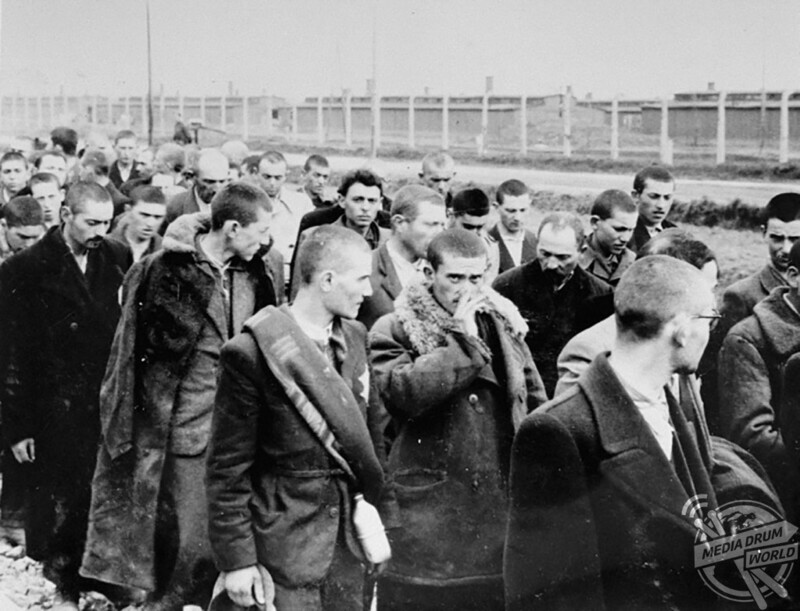 May 1944: Jews from Subcarpathian Rus who have been selected for forced labour at Auswhitz-Birkenau and marched to another section of the camp. In Auschwitz, more than one million people lost their lives. 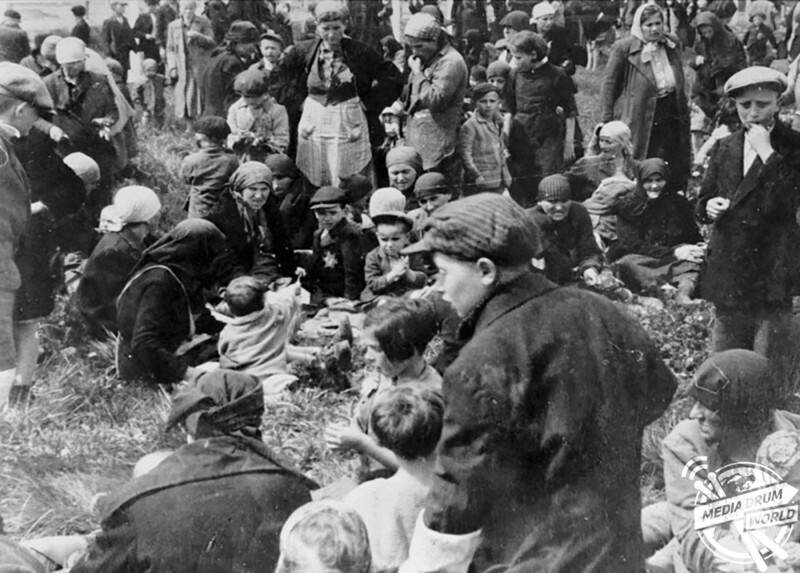 Jewish women and children walk toward the gas chambers. The building in the background is creamatorium III. 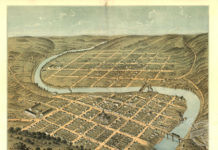 “Many of these buildings are still standing today,” adds Ian. 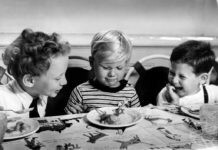 “It shows just how many civilian companies were involved professionally cooperation in genocide, and reveals just how eager they were to produce the goods for the SS for financial reward. Published by Pen & Sword, Images of War: Auschwitz and Birkenau, Rare Photographs From Wartime Archives by Ian Baxter is available to buy on Amazon for RRP £14.99.